Fantastic home in Silver Spur Estates. With 5 bedrooms and 3 1/2 baths on three levels, this home has great space for your family and friends. The main floor living room features a gas fireplace with custom rock detail surround, and the kitchen has granite tile counters and tile backsplash with adjoining dining area. Walk out to the backyard from the dining area, or your covered deck from the main entrance. Three bedrooms and two full baths upstairs, and an additional two bedrooms, full bath and family room with walk out to a flagstone patio on the lower level. 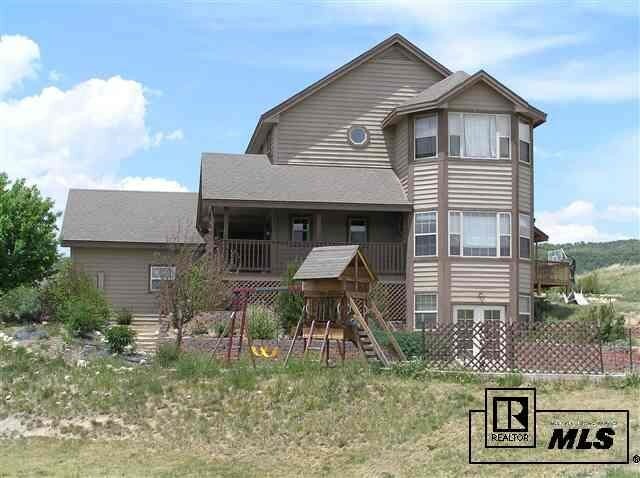 Great neighborhood and spectacular view of the Steamboat Ski Area from this home.